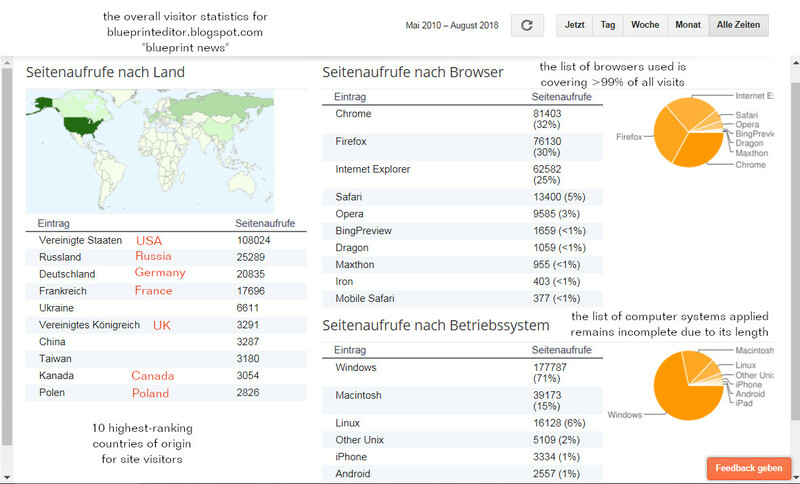 => for more information look further down ! Its not unexpected that manifold NATO interests and Russian fears that Central Asia might be dominated by the U.S. and their allies are now facing each other in a most dangerous confrontation. Teasing the Russians by offering Georgia a NATO membership is one of the most offending diplomatic actions the West could take under the eyes of the Russian bear. Furthermore, its a stupid action as Georgia seems to be a fickle candidate who is expected to bring rather instability to the alliance, due to the personal disposition of its president, and whose military power is, as well, very much restricted. If its for oil then one thing should be clear, once and for all: A growing military and economic power like Russia has to secure its own sources of oil and other natural resources and will never allow foreign nations to "invade its privacy". Such, the German chancellor's insisting on Georgia's future status as a NATO ally is not only an offence of Russian interests but a stupid remark that would rather disqualify Germany as a mature global player. Another fact will underline this rigid position that seems to Russia of a vital importance: Russia's attitude towards Iran. While the U.S. and their European allies are blaming the Iranian leaders for developing nuclear weapons, an assumption that has never been proven up to now, Russia is steadily delivering highly sophisticated arms to Iran, adding to what this country's advanced armament industry is already able to supply. 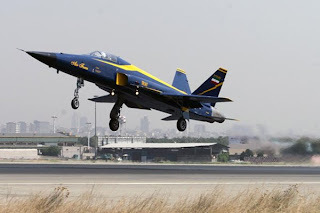 Such, Iran is now able to defend itself and confront even Israel, once the only "superpower" in the Middle East. Any attack on Iran under the pretext of its nuclear program will therefore undoubtedly trigger off an Iranian response that could change the whole political landscape of the region. The fall of Israel, seen by most Arabs as a dirty mark on the map of the Middle East, could be in reach if there were not Israel's own nuclear capacities, silently accepted by all those nations who are now blaming Iran. According to an article, published in 2003 by the British paper THE GUARDIAN / THE OBSERVER, "Israeli and American officials have admitted collaborating to deploy US-supplied Harpoon cruise missiles armed with nuclear warheads in Israel's fleet of Dolphin-class submarines, giving the Middle East's only nuclear power the ability to strike at any of its Arab neighbours." ... "Although it has been long suspected that Israel bought three German diesel-electric submarines ... [editor's comment: state-of-the-art submarines provided by Howaldswerke - Deutsche Werft AG, Kiel] ... with the specific aim of arming them with nuclear cruise missiles, the admission that the two countries had collaborated in arming the fleet with a nuclear-capable weapons system is significant at a time of growing crisis between Israel and its neighbours." 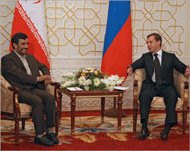 Now, if it comes to war with Iran, what will the Russian position be? Will they stand aside and wait for a pro-Western state to be erected in the neighbourhood of their area of influence and where lots and lots of oil and natural gas are coming from. Or will they stand by their Iranian partners and risk to trigger off a war the world has never seen before ? I guess you can give yourself the answer to that question. After the Russian recognition of Abkhazia and South Ossetia as independent states: Russian marines move to strategic points in the disputed area as a "precaution against the U.S.", while a U.S. navy ship, the destroyer USS McFaul, has cancelled its visit to Poti, important harbour of Georgia, in order to avoid conflict with Russian military. 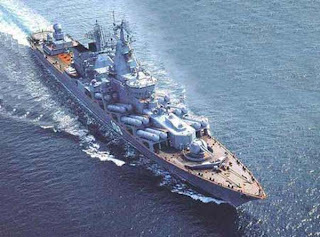 On August 25,in the middle of the Georgian crisis, the Russian cruiser "Moscow" headed for the Black Sea in order to "perform a weaponry test" of its guided missiles. Russian news agency report: Gathering of NATO ships in the Black Sea, including two U.S. war ships and four ships of the Turkish navy and equipped with more than 100 "Tomahawk" cruise missiles. Pentagon declares: U.S. destroyer "McFaul" reached Georgian coast on August 24 in order to deliver "humanitarian aid". According to a NATO official, the gathering of war ships in the Black Sea is expected to perform a manoeuvre and "not related to the actual conflict between Russia and Georgia". "But Russia finds fault in it and estimates, both, the manoeuvre and the supply of humanitarian aid, as a pretence for the display of military power." Xin Hua agency report: Earlier this month, the "Moscow" already entered the Black Sea as the flagship of its combat group. It is equipped with SS-N-12 anti-ship missiles. 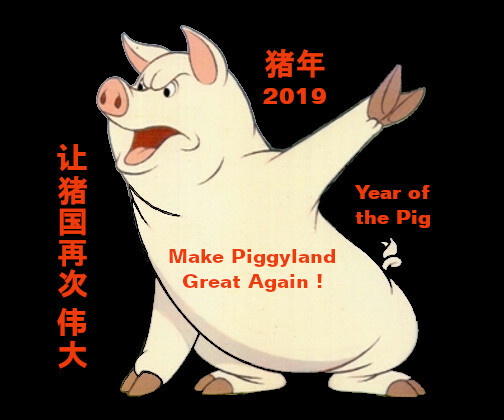 Translation from Chinese language article by "Ulysses"
U.S. behind Georgian conflict ? * Georgia breaks off diplomatic relations with Russia. from South Ossetia until the day before. * The Russia-Georgia conflict broke out on Aug. 7-8 when Georgian troops tried to retake South Ossetia during the Olympic Games in Beijing. A Russian counter-offensive pushed into Georgia proper, crossing its main east-west highway and nearing an oil pipeline from Azerbaijan. * Russian soldiers man checkpoint at key Georgian port Poti, outside a security zone that is officially kept under control of Russian peacekeepers and hundreds of kilometers away from South Ossetia. * U.S. warship "McFaul" delivers aid to Georgian port Batumi. Original destination port of Poti has been given up because of Russian presence there. * Blast hits Georgia's main east-west railway, vital to the economy of the country. Oil cargoes are being held up. * Ukraine's President Viktor Yushchenko says his country - home to a large ethnic Russian population - must boost its defences and speed up its efforts to join NATO. * Efforts of Georgia and Ukraine to join NATO are opposed by Russia which sees the ex-Soviet republics as part of its legitimate sphere of influence. * France calls for EU meeting on crisis. * Another U.S. warship carrying "humanitarian aid" is being unloaded in Poti, Georgian harbour still held by Russian "peacekeeping forces". Russia says they are delivering weapons not aid. * Russian president Medvedev condemns gathering of NATO warships in the Black Sea. According to an earlier Chinese report (September 1), NATO fleet in the Black Sea has been increased to 10 warships. 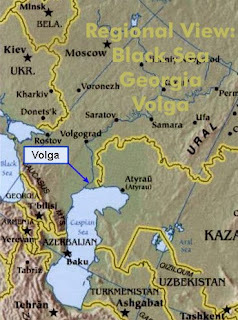 * Another Chinese report (September 1) says, Russian troops are being deployed in the nearby Volga / Ural river region, north of the Caspian Sea, for manoeuvre. Al-Jazeera citing an earlier remark made by Paul Wolfowitz, once deputy secretary of state under Donald Rumsfeld. * According to an official, Russia is going to establish diplomatic relations with Abkhazia and South Ossetia. La Russie va établir des relations diplomatiques avec l'Ossétie du Sud et l'Abkhazie (officiel russe)(BFM TV, France). * Russia will terminate any cooperation with NATO organisation, if Georgia's access to the Western alliance "enters a practical stage". La Russie cessera toute coopération avec l'OTAN si la Géorgie accède au Plan d'action en vue de l'adhésion (BFM TV, France). * Yesterday, Washington cancelled an examination by the U.S. Congress of an agreement with Russia on the civil use of nuclear energy. Washington a annulé hier l'examen par le Congrès d'un accord sur le nucléaire civil avec la Russie (BFM TV, France). * Russia declares its intention to abandon its "checkpoints" in (the Georgian) seaport of Poti during next week (Al-Jazeera, Arabic program, Qatar). 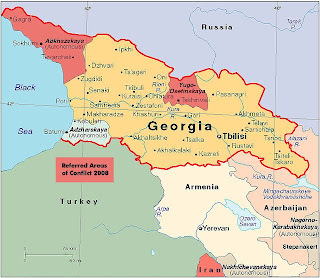 * Georgia accepts responsibility for the non-application of force against South Ossetia and Abkhazia (Al-Jazeera, Arabic program, Qatar). * After the recognition of Abkhazia and South Ossetia as independent states, the flagships of the Russian Black Sea fleet are now stationed in Abkhazia in order to fight back NATO military if necessary. 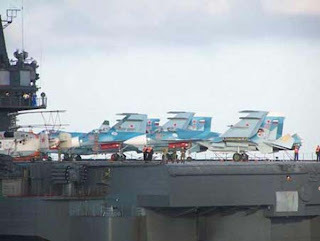 That regional fleet, recently based in Abkhazia's naval base of Soukhoumi, comprises 62 vessels and 52 aircraft, manned with 22.000 Russian marines (人民网). Facing growing tensions with NATO, Russia has expanded its 2009 defense budget by 27%. The projected NATO membership for Ukraine and Georgia is upsetting Moscow. While breakaway tendencies of former ally Ukraine have temporarily been stopped by political tensions within the ruling coalition, Georgia's plans remain unchanged. As the economic background of two adversary parties often decides between peace and war, here an interesting link describing the actual state of the U.S. financial market. U.S. secretary of state Condoleeza Rice warns Russia from pursuing its actual choices that might lead Moscow on a "one-way path to self-imposed isolation and irrelevance". In addition to the Georgia conflict where U.S. and Russian warships are already close to each other, the Russian donation of some aged bombers to Venezuela might be hinting at further Russian plans to oppose the U.S. at very sensible points of North American interest. French sources indicate: The European Union might send "something more than 300" observers to Georgia instead of 200 previously planned. The European Union EU decided on Monday to resume partnership talks with Russia. Lithuania opposes the EU decision and states that Russia hasn't fulfilled the ceasefire deal with Georgia. 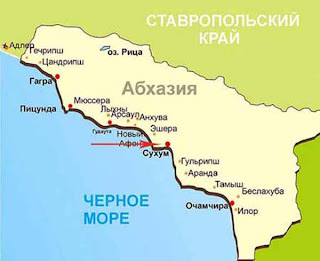 In fact, Russia has recognised Georgia's former provinces South Ossetia and Abkhazia as independent states and maintains several thousands of troops in both regions. People's Daily reported that Georgia launched a protest against South Ossetia for having invaded the frontier region of Georgia with some 80 soldiers on November 8. A Georgian settlement with 1000 inhabitants has been overrun. Peasants are reported to flee from that area. Russia has called for a new European security umbrella and threatened to deploy short range missiles in Kaliningrad. The Russian seaport of Kaliningrad is an enclave between Poland and Lithuania. As was earlier reported, the U.S. have installed a missile battery in Poland that should be able to intercept long-range missiles from Iran, this military measure being strongly opposed by the Russian government. Nevertheless, EU has to come to terms with Russia as Europe depends on Russia for much of its energy. Russia has the world's largest known natural gas reserves. Earlier this year, Russia already cut gas supplies to Ukraine over a debt debate. Furthermore, Russia's huge cash reserves could help Europe's ailing economies. Russia, country of 140 M people, is still a significant global power and an important trade partner for Europe. Therefore, EU wants to narrow differences before next G-20 summit in the United States. - U.S. influence is on the decline. - U.S. dollar will decline over the next two decades. 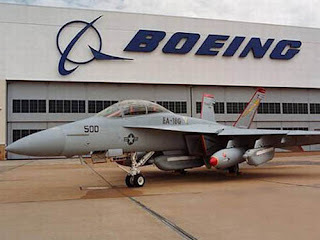 - U.S. will share "world power" status with China and India by 2025. 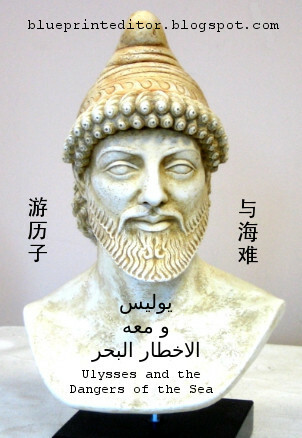 - Global trends forecasting a tense, unstable world that is shadowed by war. - Some European nations could be taken over by organised crime. Only some minutes ago, Barack Obama has been officially nominated by acclamation as the presidential candidate of the Democratic Party on their convent in Denver, Colorado. Obama already announced Joe Biden, Senator of Delaware and a former presidential candidate himself, to become the Democrats' candidate running mate for vice-presidency. Inauguration of newly elected president Fernando Lugo. Toma de posesión del nuevo presidente Fernando Lugo. "Reconstruimos el sueño de justicia y equidad social." "Prometió salvar los niños de la calle y dar un futuro a los jóvenes." El presidente afirma que se suma al cambio que ocurre en latínoamerica. Signo de ése: Entre los invitados hay Hugo Chavez, el presidente de la República de Venezuela y la portavoz de las naciónes no alineadas. Otro invitado, el presidente de la República de Ecuador Rafael Correa, habla de Fidel Castro y Hugo Chavez como los dos lideres de la nueva revolución latínoamericana. "Lets restore the dream of justice and social equality." "I promise to save the street urchins and offer a future to young people." The president confirms he would dedicate himself to the change that is developing in Latin America. A sign of that: Among his guests is Hugo Chavez, the president of Venezuela and spokesman of the non-aligned nations. Another guest, the president of Ecuador Rafael Correa, praises Fidel Castro and Hugo Chavez as the two leaders of a new Latin American revolution. Only some hours ago, Al-Jazeera reported the funeral of Mahmoud Darwish, best-known Palestinian poet abroad. He found his last rest on a cemetery in the new quarter of Ramallah where his funeral took place in the presence of a delegation from Palestinian president Mahmoud Abbas. One might ask why it's just the death of Mahmoud Darwish that is being mentioned in my newsblog as there are so many others dying those days, in Palestine or elsewhere in the Middle East. The reason is that Darwish has been mentioned years before by BLUEPRINT magazine and in the frame of my view on Arabic literature, accessible from the BLUEPRINT main page. He has been presented as a witness and voice of the Palestinian people who are still suffering from al-Nakba النكبة, the catastrophe of loosing their homeland. Furthermore, I remember having seen a booklet of his poetry in the German translation and which I found on a regional German bookfair. I am an Arab - And now you are furious ! 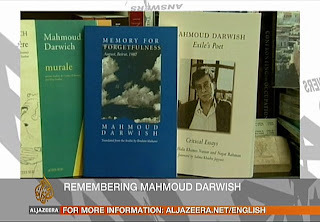 Today, AL-JAZEERA TV (English broadcast) dedicated part of its program to Mahmoud Darwish. We learnt that Darwish was a member of the PLO Executive Committee for a certain time but no hardliner at all. Such, many voices from all over the world now mourn the loss of a peace-loving man and a great poet. I fear for it from solo playing.